You cannot wait for your partner to join you in the UK, right? However, before you can apply for your fiancée, wife or husband to enter or remain in the UK, you must obtain the appropriate Visa. To meet the requirements for a UK Marriage Visa, you must be married to a person domiciled in the UK. a) We know how to get you a UK Marriage Visa. b) We are willing, able and have what it takes to move your application through all the stages to a successful result. You must know each other well. You must prove that you are capable of supporting yourself. UK Marriage Visas are good for two years. However, at the end of the initial two years, you can apply for British Nationality or Indefinite Leave to remain in the UK (ILR). A UK Marriage Visa also clears the way for you to bring dependents with you to the UK. That is, for as long as the sponsor can prove he/she has the wherewithal to financially support you for your entire stay. A marriage visa also gives you the freedom to work in the United Kingdom. We are here to help. So let us start on your case right now. As a starter, we advise that you avoid unnecessary expenses and give yourself the best chance for a successful application. Are you and your fiancée intended in the UK looking to tie the knot soon? Well as you are preparing to marry a British citizen or a permanent resident, you will need a Fiancée Visa. Now is the right time to apply. a) We have the knowhow and b) we are ready to assist you to put in your application and obtain a UK Fiancée Visa. UK Fiancée Visas are good for travel to and remain in the UK for up to six months. However, at the end of six months you can apply to stay in the UK and exchange the Fiancée Visa for a Marriage Visa. We are here to help. So let us start on your case right now. As a starter, we advise that you avoid unnecessary expenses and 2) you give yourself the best chance for a successful application. You feel it is about time that you to join your family in the UK. This means that you are ready to apply for a UK Dependency Visa. That is all you really need, a UK Dependency Visa. First off you should know that for a Dependency Visa you will have to prove that you are dependent on you kin who lives in the UK. Now is a good time to apply. We have the knowhow and we are ready to assist you to put in your application and obtain your UK Dependency Visa. UK Dependency Visas do not have a limit on the time you can stay in the UK. However, you can eventually apply for British citizenship. A Dependency Visa also gives you the freedom to work in the UK. The Unmarried Partners Visa or (as it is also known) The De Facto Visa is the one that allows you to join a partner in the UK. Now is good time to apply. We have the knowhow and are ready to assist you to put in your application and obtain a UK Unmarried Partners Visa. Your partner must be a fully landed resident in the UK. UK Unmarried Partners/De Facto Visas are good for two years. At the end of the initial two years, you can apply for British Nationality or Indefinite Leave to remain in the UK (ILR). An Unmarried Partners Visa also clears the way for you to work according to your calling. Thanks to your granddad or nana, you could be on you way to a new life in the UK on an Ancestry Visa. If you are a National of the Commonwealth, an Ancestry Visa could be all you need to make your move to the UK. 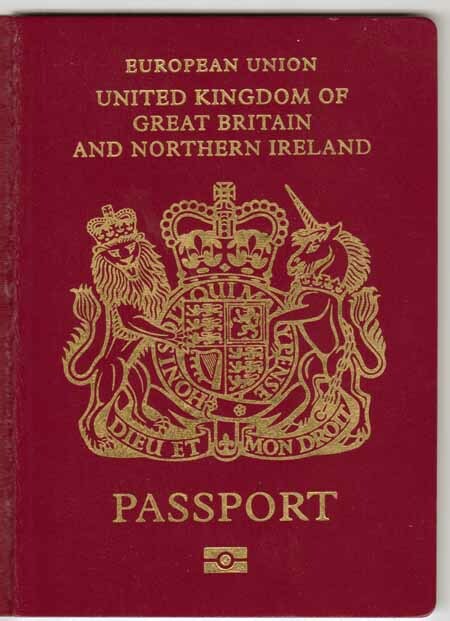 However, to qualify, you need to have a grandparent who was born in the UK, the Channel Islands or the Isle of Man; or, in the Republic of Ireland, before 31 March 1922. Now is a good time to apply. a) We have the knowhow and b) we are ready to assist you to put in your application and obtain a UK Ancestry Visa. To apply for a UK Ancestry visa you need to be at least 17 years of old. UK Ancestry Visas are good for five years. At the end of the initial five years, you can apply for British Nationality or Indefinite Leave to remain in the UK (ILR). This provided you have spent five continuous years in the country, you are in employment or can prove that you are actively seeking employment. As you plan a business trip to the UK, your first order of business would be to get your UK Business Visit Visa. Come to the UK as an academic visitor. We are versed in the procedure for getting a UK Business Visa. We are also willing and able to move your application through all the stages to a successful result. A business Visa does not permit you whilst the UK to study or to provide services or goods to the public for a fee. UK Business Visa is good for up to two years and may allow more than one entry to the UK but for no more than six months at a time. So let us get started right ways on your Business Visa application. For Entertainers planning to work in the UK, even as a free hand, their first move must be to get an Entertainment Visit Visa. We are versed in the procedure for getting a UK Entertainment Visit Visa. Moreover, we are willing and able to move your application through all the stages to a successful result. A UK Entertainment Visit Visa is good for up to two years and may allow more than entry to the UK but for no more than six months at a time. An Entertainment Visit Visa does not permit you whilst in the UK to study or to take up employment in which you provide services or goods to the public for a fee. As you plan a holiday in the UK, your first move would be to get a UK General Visitor Visa. You are set and well on your way if relatives in the UK are able to act as sponsors for your trip. To meet the requirements for a UK General Visitor Visa, you must be 18 years or older. As we know the procedure, we are able to move you application through all the stages quickly. UK General Visitor Visas are good for six months and may allow more than entry to the UK but for no more than six months at a time. A General Visitor Visa does not permit you whilst in the UK to study or to take up employment in which you provide services or goods to the public for a fee. There are instances when you qualify for a Special Visit Visa (SVV) to the UK. An SVV is available to a child visitor, parents of a child studying in the UK or if you are seeking private medical treatment in the UK. A UK Special Visit Visa is good for six months. It may allow more than one entry to the UK but for no more than six months at a time. A Special Visit Visa does not permit you whilst in the UK to study or to take up employment in which you provide services or goods to the public for a fee. Whatever your sport you can reach for the top of your game in the UK. However, to play, you will need a Sports Visit Visa. We are versed in the procedure for getting a UK a Sports Visit Visa. Moreover, we are able to move your application through all the stages to a successful result. A Sports Visit Visa does not permit you whilst in the UK to work, study or to provide services or goods to the public for a fee. A UK Sports Visit Visa is good for six months. It may allow more than one entry to the UK but for no more than six months at a time. A Sports Visit Visa does not permit you whilst in the UK to study or to take up employment in which you provide services or goods to the public for a fee. As you plan to holiday as a tourist in the UK, your first move would be to get a UK Tourist Visa. Moreover, with it in hand you are set and well on your way take in the sites sounds of the UK. A Tourist Visa does not permit you whilst in the UK to work, study or to provide services or goods to the public for a fee. A UK Tourist Visa is good for six years. It may allow more than one entry to the UK but for no more than six months at a time. A Tourist Visit Visa does not permit you whilst in the UK to study or to take up employment in which you provide services or goods to the public for a fee. Whatever your profession, you find will conditions in the UK are good for study and research. To take up a challenge in the country, will need a UK Academic Visit Visa. We are versed in the procedure for getting an Academic Visitor Visa. We are also able to move your application through all the stages quickly. Provide evidence that your visit will be for a maximum of twelve months. You must have proof that you work or have worked as an academic in an institution of higher education.